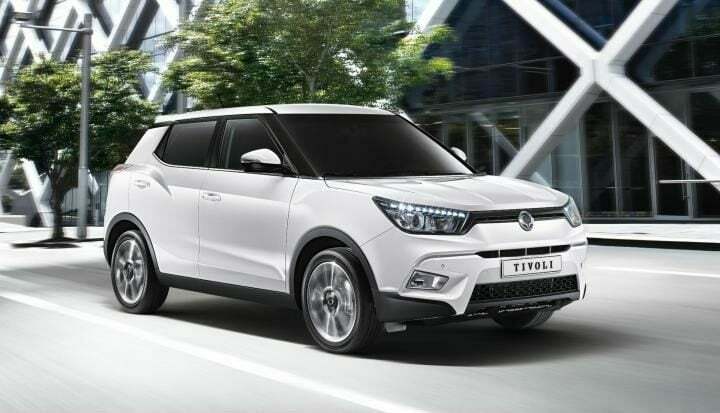 Mahindra is planning to launch a new sub-compact SUV, S201. It will be a sub-4 metre compact SUV and will compete with Vitara Brezza and Ecosport. 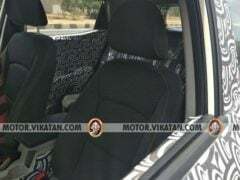 It is expected to cost from Rs 7 Lakhs. There are various speculations that this car might be also known as XUV300. 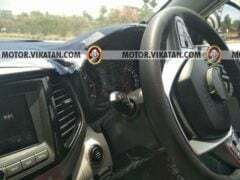 Recently, the Mahindra S201 interiors have been spied. Mahindra S201 compact SUV will be replacing Nuvosport, an average play compact SUV. Also, there are chances that S201 might be named XUV 300, as it copies the design of XUV 500 and falls just below XUV 500. Regarding the design, it gets a monocoque body, just like the XUV 500. It looks bigger with a big cabin space and high ground clearance. The SUV has already been spotted multiple times, now again it is spotted. The spy images show the interiors of the car. The interiors look premium and are very similar to Ssanyong Tivoli. 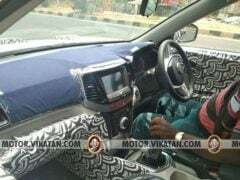 The car is expected to cost between Rs 7 Lakhs to Rs 11 Lakhs and will compete with Maruti Suzuki Vitara Brezza, Tata Nexon and Ford Ecosport. It is expected to launch post festive season of 2018. It is expected that the new Mahindra S201 will come with the existing 1.2-litre G80 turbo petrol and 1.5-litre diesel engines. Currently, Mahindra is developing the new 1.6-litre diesel engine, and the new 1.5-litre petrol motor, which might be seen in this model. Transmission duties are likely to be handled by a 5-speed manual and possibly an AMT option in the top-end variant. Given the speculated engine specs, it will produce around 100 BHP power and around 180 Nm of torque in the 1.2 Litre variant. In the 1.5 Litre variant, it will produce around 140 BHP power and 240 Nm of torque. It is expected to give a mileage of around 15 KMPL. Due to rising competition, Mahindra S201 might get a 6-speed transmission for both automatic and manual gearboxes. The Mahindra S201 might come in petrol and diesel variants. The petrol variant might get a 1.2 Litre G80 Turbo engine that produces 100 BHP power and 180 Nm of torque. The 1.5 Litre diesel will produce 140 BHP of power and 240 Nm of torque. Currently, Mahindra is developing a new 1.6 Litre Diesel engine and 1.5 Litre petrol engine. The SUV might get a 6-speed transmission with both automatic and manual gearboxes. The Mahindra S201 interiors feature a dual tone black and beige dashboard. At the centre, it gets a piano black them with all the instruments. It gets a 7-inch touch infotainment system with Android Auto and Apple CarPlay, which is flanked on both the sides by the AC vents. It also gets a dual-zone climate control centre. The infotainment will also serve as the display for the reverse camera. The steering wheel is also copied from Tivoli, with controls mounted on it. A start-stop button and centre armrest can also be seen in the images. The top-end variant might feature start-stop button, reverse parking assist, automatic climate control and much more. In terms of safety, it might also feature ABS with EBD, ESP, Hill assist control and more.